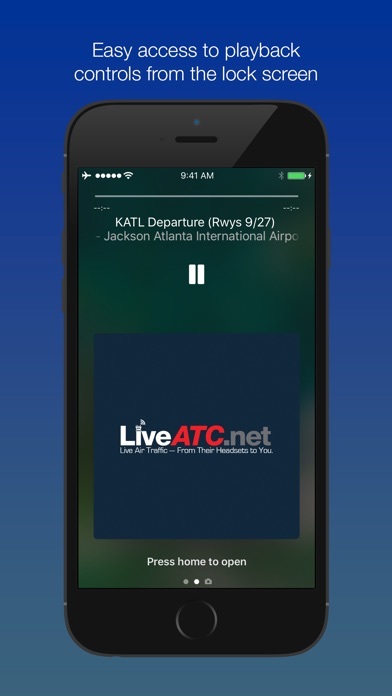 If your airport is listed it will tune in. I use it all the time! Like being in the left seat! 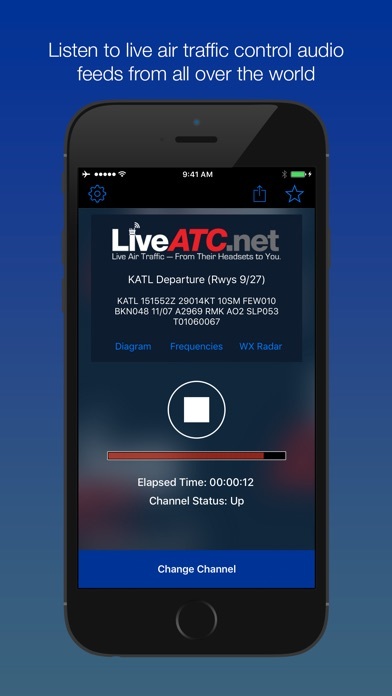 This app is great as it is one of the few if not the only app that allows you to listen to live ATC throughout the country and the world. 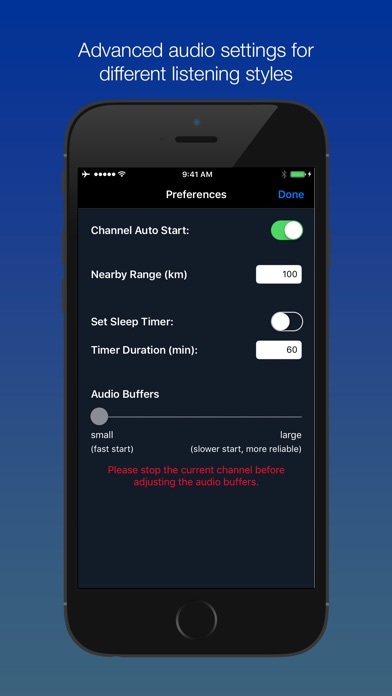 One feature I would like to see added is to allow the app user to input the frequency changes when tracking a specific flight as well as creating a log of those frequency changes and the option to save them so the user will have the most recent and updated frequencies if they have changed. The app has been down for over a week for kpsm. Please send status or refund the cost. 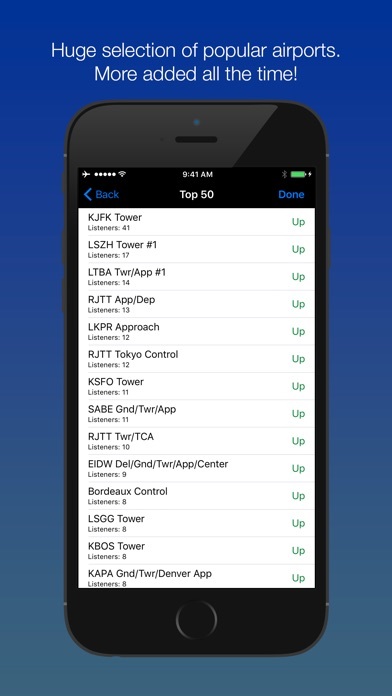 This app has greatly helped me improve My radio communications and made me get Better grades in aviation school. I focus usually on my local region. Or I listen to other airports that I’m planning to fly into. What happen ? This was a Great app, now I can’t pull up the airports I like the most. Are they going to fix this ??? As I’m writing this I am listening to a Southwest plane do a touch and go at Sac International. You can have other apps open while listening and it’s all live. Definitely worth the price. 5 Stars! Very useful to find out firsthand what’s happening in preparation for travel. And with more and more gate to gate satellite-based inflight Wi-Fi you can follow your flight throughout. That said - please consider the following: 1) Please list the frequencies a station is covering as per of the table cell when opening to select a feed (favorites, change channel, or directory). When listening to the feed there is a list. This doesn’t need the description- just a comma separated list of frequencies. 2) Would be great to have more than airport diagram linked, but also departure/arrival/approach plates. 3)This one is tougher and not sure it’s possible. But would love to be able to enter a flight number and find what channel the flight is on. 4) In the feed frequency page, it would be great to know if feeds are mixed, or if a stereo split then which feed is in which ear. This probably means a bigger change but it would be helpful. Thanks for a great app and thanks to everyone who provides feeds to the system.